A little-known planet beyond the solar system could be a scaled-up version of Earth, according to new research. Experts found that the distant exoplanet, known as K2-18b, is likely a 'super Earth' made up of rock, just like our own planet. K2-18b orbits within its star's habitable zone, making it an ideal candidate to hold liquid water on its surface, a key element needed for the presence of alien life. The new study, from researchers at the University of Texas, Scarborough, and University of Montreal, Canada, also found that K2-18b has a neighbour. This newly discovered exoplanet, named K2-18c, may be a second rocky super Earth - although it is unlikely to host alien life, scientists lclaim. Both planets orbit the red-dwarf star K2-18, located 111 light years from Earth in the constellation Leo. The new study used data collected by the European Southern Observatory (ESO), which has its headquarters in Munich, Germany. “Being able to measure the mass and density of K2-18b was tremendous, but to discover a new exoplanet was lucky and equally exciting,” said lead author Ryan Cloutier, at the University of Montreal. 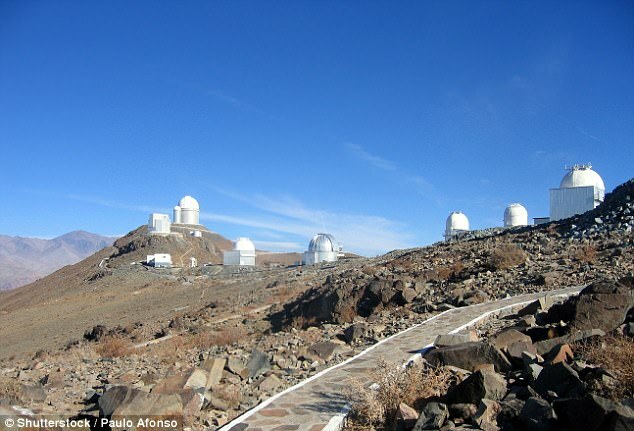 The data set used by the researchers came from the ESO's 3.6-metre (12 ft) telescope at the La Silla Observatory in Chile. Readings of K2-18 were taken by the telescope's planet-finding High Accuracy Radial Velocity Planet Searcher (Harps) instrument. Harps measures the 'radial velocity' of stars, which describes their speed of movement toward or away from the sun, and is affected by the presence of planets. The researchers set out to find whether K2-18b was a scaled-up version of Earth made mostly of rock, or a scaled-down version of Neptune made mostly of gas. To do this, they first figured out the planet's mass, using radial velocity measurements of the K2-18 star and a machine learning calculator. “If you can get the mass and radius, you can measure the bulk density of the planet and that can tell you what the bulk of the planet is made of,” Mr Cloutier said. The team found the planet is either a mostly rocky planet with a gaseous atmosphere – like Earth, but bigger – or a mostly water planet with a thick layer of ice on top of it. 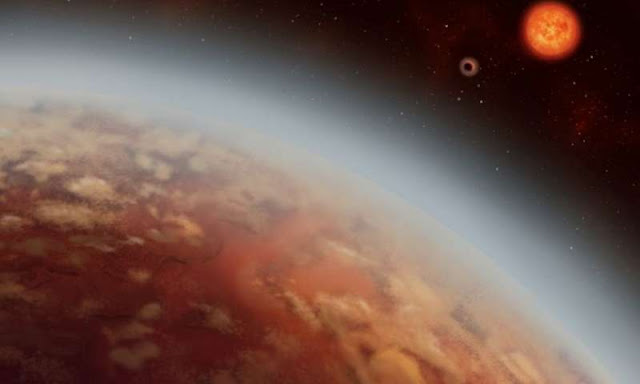 It was while looking through the data of K2-18b that Mr Cloutier noticed strange signals, which the researchers realised was a second exoplanet. While the newly described planet K2-18c is closer to its star, and probably too hot to be in the habitable zone, like K2-18b it also appears to be a super Earth. The researchers say K2-18b will be a prime target for Nasa's James Webb Space telescope when it launches in 2019. “With the James Webb Space Telescope (JWST) we can probe the atmosphere and see whether it has an extensive atmosphere or it's a planet covered in water,” Mr Cloutier said.